Here's a picture of 'Kim' and 'Jackie' setting down drinking tea and coffee . We have just arrived at our camping spot, as you can see we still haven't set up the tents. All three of us have sore feet, the calves of our legs are burning and we are tired. Its been a steep down hill hike for the last 3 hours, I believe we covered about 5.5 miles in that time span. 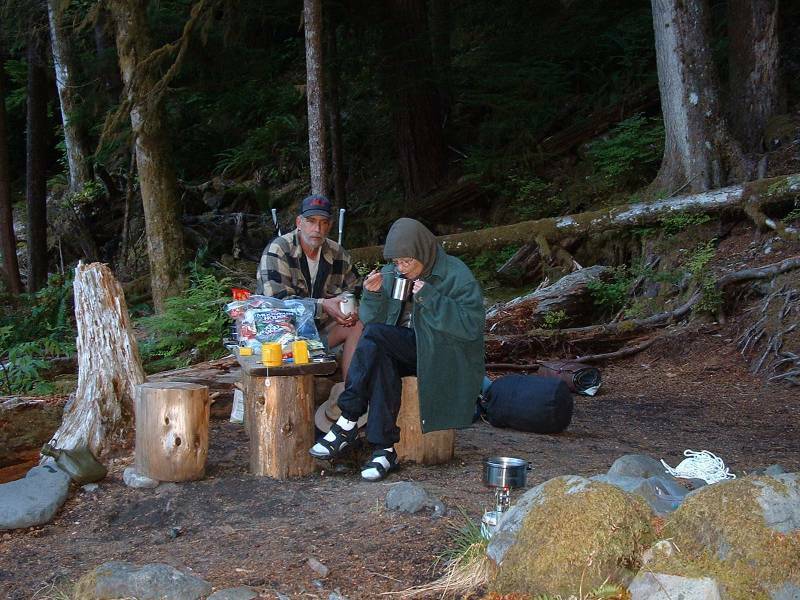 This is a real nice camp site, its next to a river, which makes it convient for cooking and cleaning up.